The examination of nature runs like a thread through Gemma Anderson’s work. More specifically, her interests lay in the analysis of morphological and structural principles as well as in the study of the processes of growth and form in nature. The visual arts and natural sciences are both practices devoted to looking closer, looking longer, and looking deeper. The practice of drawing provides an important connection between the epistemologies of both disciplines, it can act as a shared language. Drawing is not only a ‘trace of a line of thought’ but also ‘shapes the mind’. In taxonomy, drawing a specimen allows one to know it in a unique way, but it also has its limitations. 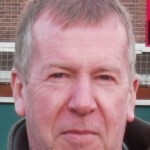 One has to make choices – what to emphasise, what to leave out. Studying the drawings of scientists helps us to understand each scientist’s view and priorities. In the introduction to her book, Drawing as a Way of Knowing in Art and Science, Anderson writes “This book focusses on the twin themes of drawing and morphology through an exploration of intuitive and experimental drawing methods. The aim is to develop and share new ways in which drawing practice can enhance morphological insight, specifically within the contexts of art, mathematics and the natural sciences”. Central to this focus is Goethe’s concept of morphology (Goethe coined the term himself in 1792). Morphology is, as the term suggests, an account of form, an account that allows us a rational grasp of the perceived morphe by making its internal and external relations intelligible. Morphology studies the forms of organisms by juxtaposing them and evolving, from this juxtaposition, a standard of comparison. In Drawing as a Way of Knowing in Art and Science, Anderson aims to extend the concept of morphology, “to unite contemporary art practice with natural science and mathematics in encompassing diverse methods and approaches”. The practice of drawing is central to her approach. She coins the terms ‘Isomorphology’ and ‘Isomorphogenesis’, defined respectively as “the study of the shared forms and symmetries of animal, mineral and vegetable species through drawing practice” and “a drawing practice or ‘experiment’ that explores the potentialities of representing morphology as a dynamic and formative process”. Initiated by her time as artist-in-residence at the Natural History Museum and Imperial College London, Drawing as a Way of Knowing in Art and Science reads like a journey, a journey that encompasses a philosophical and practical investigation into drawing as a way of knowing that includes research, collaboration, experimentation and education. 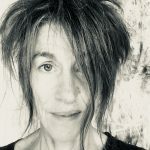 It’s a journey that allows Anderson to examine and theorize about her own artistic practice in relation to different strands within the philosophy of biology, to contextualize her own artistic methodology in relation to other artists, and to build on the concept (and importance) of drawing as a means to expand our thinking about the natural world. There are chapters dealing with the development of drawing as a way of knowing, informed by Anderson’s collaborations with contemporary natural scientists and mathematicians; an exploration of Goethe’s original concept of morphology and how this approach can be adapted to create another drawing method; an exploration of Goethe’s morphology with selected works of Paul Klee, who Anderson regards as an important morphologist in the way he reveals the dynamic nature of form, with insights similar to Goethe’s; the development of what Anderson calls ‘Isomorphogenesis’, a drawing-based algorithm informed biological principles and the influence of Paul Klee, D’Arcy Wentworth Thompson and William Latham. The culmination of the practices and collaborations described throughout the book are shared through a series of participatory workshops with artists, scientists, students and the general public at the Cornwall Morphology and Drawing Centre, reinforcing the importance of close looking, first-hand observational drawing. This includes instructions for employing her Isomorphology and Isomorphogenesis drawing methods as a means of collective knowledge. In an interview for Interalia Magazine (January 2016), Anderson stated that ““My current work is about drawing as a way of knowing and about knowing about drawing as a way of knowing”. This development of drawing as a ‘way of knowing’ is evident throughout the book by Anderson’s continued questioning, practice and re-appraisal towards greater morphological insight. She also believes that “placing greater value on the process of image creation in science – especially drawing – could transform the relationship between scientific word and image” (p.247). Drawing as a Way of Knowing in Art and Science presents a meaningful insight into the practice of drawing and how it can function as both an epistemology and scientific inquiry at the same time. As a document encouraging the continued interactions between the arts and sciences, it provides a valuable resource. 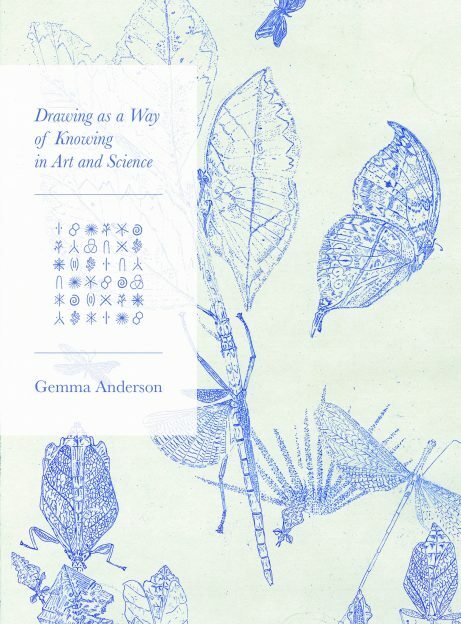 As an important development into the ways drawing practice can enhance morphological insight, Gemma Anderson’s book achieves its aims and I would highly recommend it.